There isn't anything quite like waking up right after dawn, when the sun gives that gentle golden glow over buildings, the air is crisp and fresh, and all is quiet in the streets. On this morning, we took a short walk from the hostel we stayed at (TOC Hostel Sevilla, review coming later) over to Plaza de España. The first thing you'll notice is how massive it is - 50,000 square meters, the equivalent of five soccer fields! It makes a fun panoramic pic, especially with no one around because it's still early. There is a tower at each end, four bridges, a canal with boats you can rent to row in, and plenty of strolling space. This was built for the Ibero-American Exhibition of 1929 (Expo 29), a world's fair that saw people from South America, Portugal, and the US, in the Parque de María Luisa (Maria Luisa Park). Today, it mainly consists of government buildings. 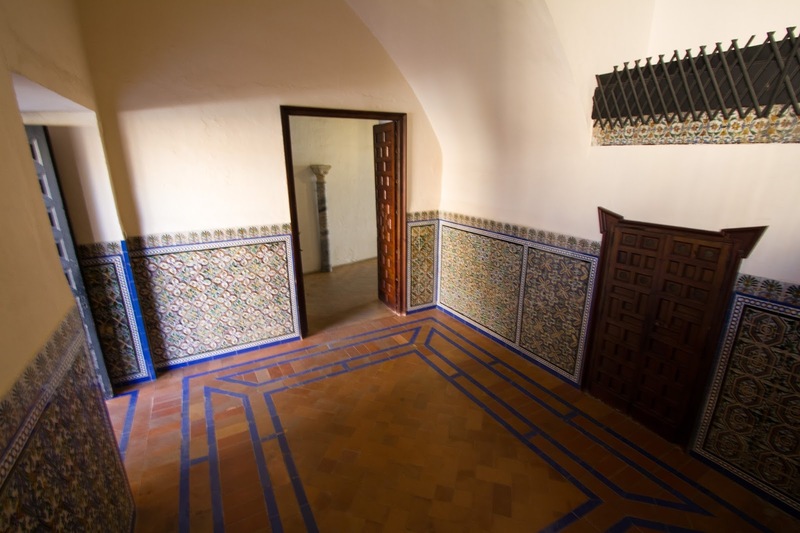 An alcove was built for each of the Spanish regions and each of the provinces of Andalusia with colorful tiles. You'll notice the ones I took above were Madrid and Salamanca, two cities that I'll be visiting later on the trip. I was surprised at how well maintained all the bricks and ceramics were after so many years and with such vibrant colors and details from the talented artists of that period. And as a fun fact, some of you, especially Star Wars fans, may recognize this place as a filming location for Star Wars: Episode II – Attack of the Clones. 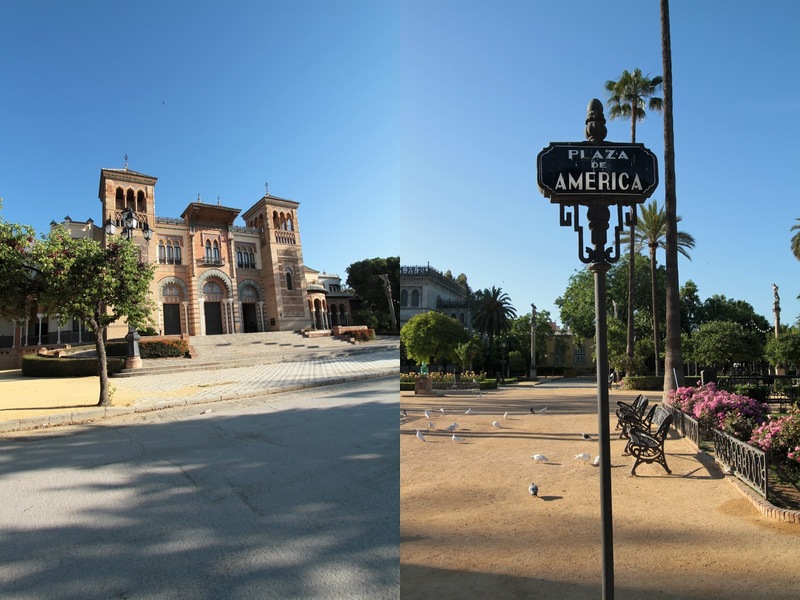 Aside from this plaza were other beauties in the park - botanical gardens, elaborate mansions that are now museums, plazas in honor of other countries, and many doves. As an artist at heart, I am always fascinated with flowers, colors, textures, patterns, and shapes. This place had it all. What fun and how inspiring it was to be here! Andalucía, the region on the southern coast of Spain, holds much of what the world defines as Spanish: tapas, flamenco, and bull fighting. Naturally, on our first night in this beautiful country, we went to watch a flamenco performance. We went to one that was recommended by the receptionist at the hostel we stayed at. Classic to many flamenco performances, this one was located in an alley off the main road where there was seating for about 30 people, all facing a small stage. There is nothing quite like the energy from these four performers - a guitarist, a singer, and a female and male dancer - where each gave it their all. No holding back. Probably the most impressive was the singer who really knew how to project his voice over the guitar, stomping, and rhythmic clapping. Both dancers performed separately and together with such intensity and passion in each step, each movement, even down to their facial expressions. Flamenco is such amazing dance to witness. Afterwards, we wandered around for a place to have dinner and enjoyed the night view of the Seville Cathedral. Like anyone else would when they're in the country, we had some sangria with dinner. Even though it's easy to make, I've never had it before but I really liked it! After taking an overnight train from Lisbon into Spain to pick up a rental car, the first city we drove to was Seville. It's the fourth largest city in Spain, located near the Southern border between the two countries. 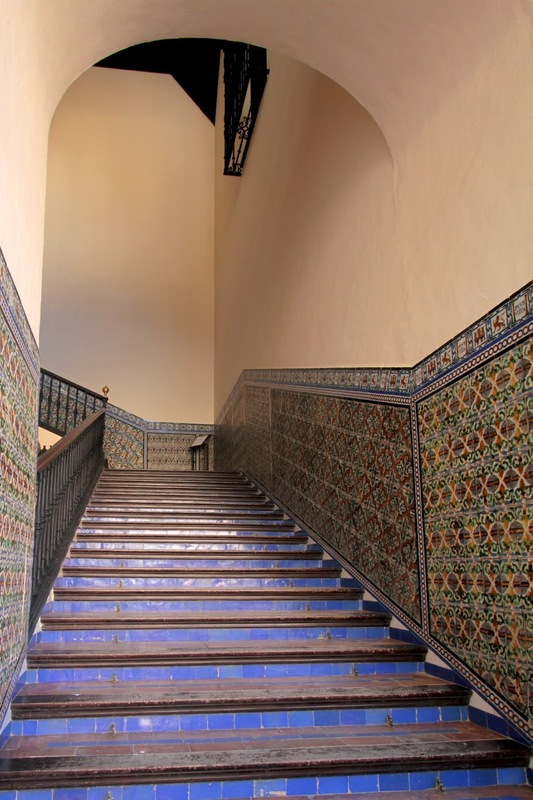 I've always loved Moorish and Islamic architecture, so, as you'll be able to tell from my next couple posts, this part of Spain, from the food to the sights, was my favorite out of all places I've been in Europe. 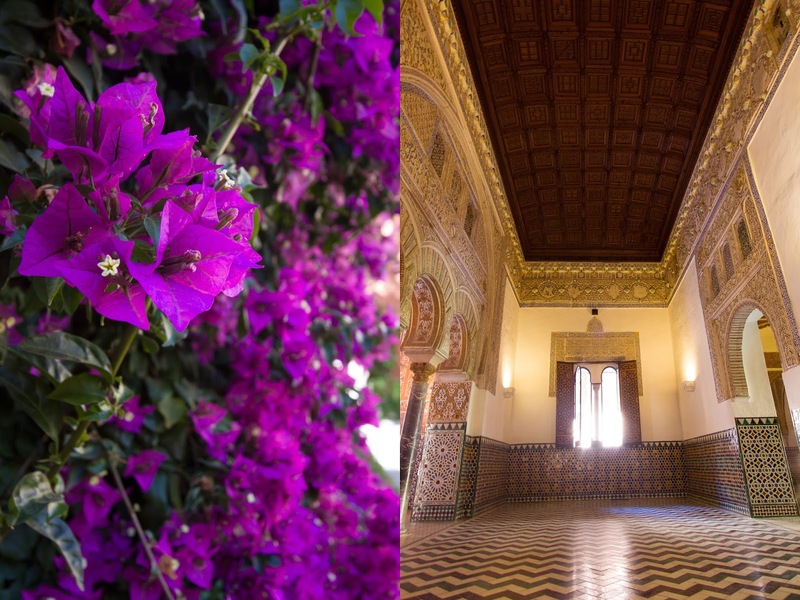 The palace, or Alcázar, was originally a fort, founded in 913. 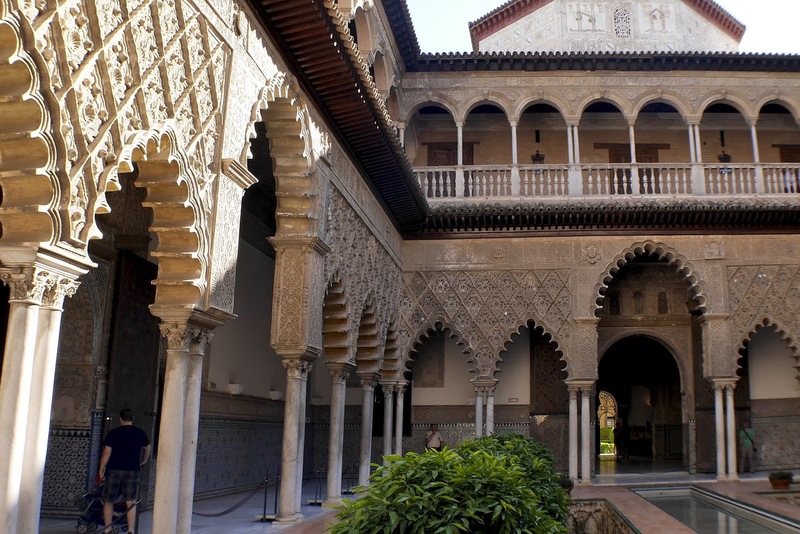 Over the next 11 centuries of its existence, it was expanded and reconstructed into a palace of varying styles of architecture - Moorish, Gothic, and Renaissance. Today, it's the oldest palace still in use in Europe as the place where Juan Carlos I of Spain and his family stay when they visit Sevilla. You may recognize this beautiful palace as one of the locations shot in the fifth season of Game of Thrones. I am one of those rare people who haven't watched that show. It was Eileen who pointed it out to me! So I was wowed more by the colors, attention to detail, materials of construction, and overall beauty. And UNESCO agrees, recognizing the place as a World Heritage Site in 1987. My favorite, and what the place is best known for, was El Patio de Las Doncellas (The Patio of the Maidens). It's such a quiet and peaceful place with symmetry and ornate details on point, fit for royalty for sure.